Matt Halseth is a native Oregonian who grew up in Lyons and terrorized the North Santiam and Little Northfork since he was able to hold a pole. 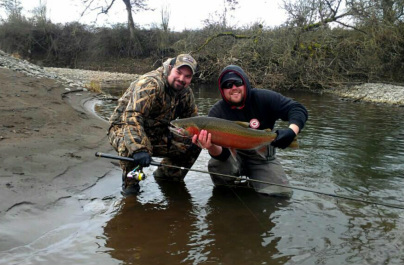 He has been guiding since 2012 and has nearly 20 years of steelhead and salmon fishing expertise under his belt. He spends his summers at Jake's Nushagak Salmon Camp in Alaska, enjoying the beautiful scenery and wildlife and slaying the King Salmon.